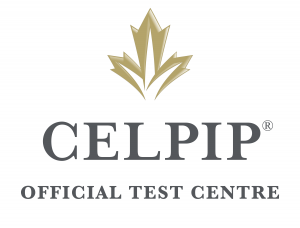 Concordia University of Edmonton is an official CELPIP Test Centre. We are excited to offer the CELPIP Test to our local community of immigrants and newcomers to Canada. The CELPIP Test is the only Canadian test designated by Immigration, Refugees, and Citizenship Canada (IRCC) as proof of English language proficiency for those applying for permanent resident status in Canada and Canadian citizenship. Test sittings are administered every month. All components of CELPIP are fully administered by computer in one-single test sitting. There are no additional Speaking interviews administered by human examiners. Results are available online in 8 business days after the scheduled test date. Test takers may choose to add Express Rating for results online in 3 business days. To best reflect the variety of English accents that test takers encounter in Canada, CELPIP incorporates Canadian accents in the Listening component of the test. Test takers have access to a wide range of study materials for CELPIP. These materials are developed in-house by language instruction experts, and include both free and purchasable materials.